I have recently worked with Suppose.com as part of their blogger outreach programme and was chosen to take part is reviewing on of their pieces of jewellery. Suppose.com is a free website that monitors and tracks price drops from online retailers so can be used to help you find the best deals and some massive bargains. I love my online shopping and bargain hunting so this will be such a useful tool for me! 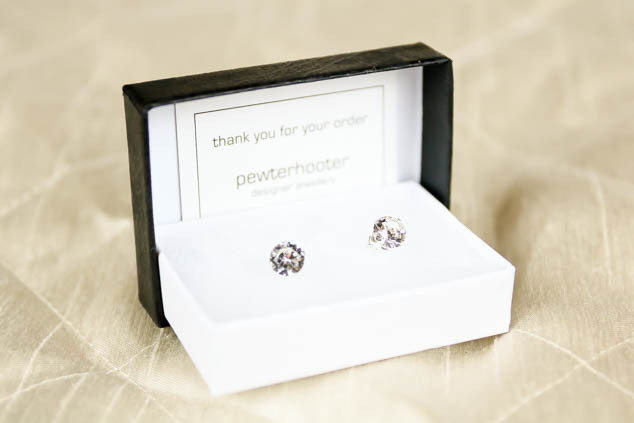 My item to review has recently been tracked as having a pretty massive price drop, a pair of Pewterhooter designer jewellery sterling silver Swarovski crystal earrings, which have been priced as high as £35.50 but have suddenly price dropped to £5.50. This offer shows better than most the deal you are getting with this item as Suppose.com offers you a way to see if you are getting a bargain as you can see the previous values of the item through other points of time. 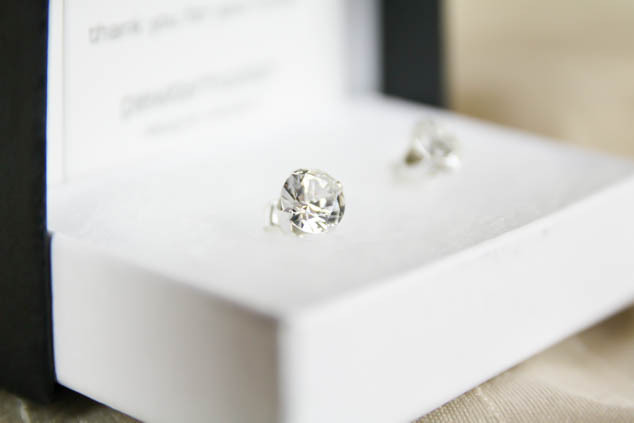 The earrings are really simple and minimal, sterling silver studs that hold a round sparkly cut crystal. I really like them, they are understated and beautiful. The stone is a AAA round brilliant cut cubic zirconia and they are comfortable to wear with a butterfly back. The packaging is very simple, a black cardboard box but nothing special. I could happily wear these as my everyday earrings although I might keep them for wearing at occasions as I prefer studs to large earrings. Suppose.com is a website that I think I will be referring too a lot over the next few months with Christmas and a few special people’s birthdays coming up. I will be able to either find some deals or hopefully make my money stretch a little further. 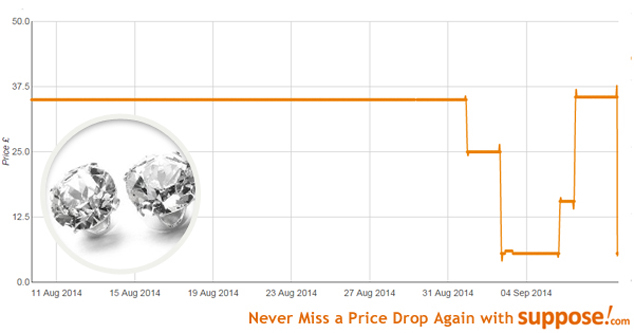 Have you tried Suppose.com or have any other tips for bargain hunting online?